A family owned and operated business in Conception Bay South managed by Justin Squires since 2003, CBS Plumbing and Heating has been owned and operated by two dedicated generations of the Squires family, having been passed from father to son. Justin has over 17 years of plumbing and heating industry experience and will travel anywhere in Newfoundland today for efficient, friendly service. Our company successfully maintains a positive local reputation for providing superior quality and affordable value. Our primary goal has always been first and foremost to ensure complete customer satisfaction through our personalized touch. 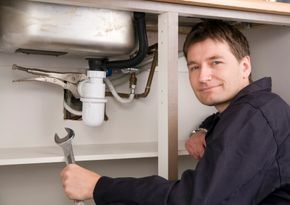 When you entrust us with your plumbing or heating task, you can rest assured that your project has been left in experienced hands. Our qualified technicians are here to assist you with whatever you may need, whether it’s routine maintenance, an installation or expert repair. Should you ever have any questions, concerns or comments, please don’t hesitate to contact us!